It’s been more than 20 years since Tash Willcocks dipped her toe into the creative and design industry.\n\nIn that time she’s been an album creative for Elbow, designed skateboards with Linder Sterling, and led graphic design courses at Salford University. 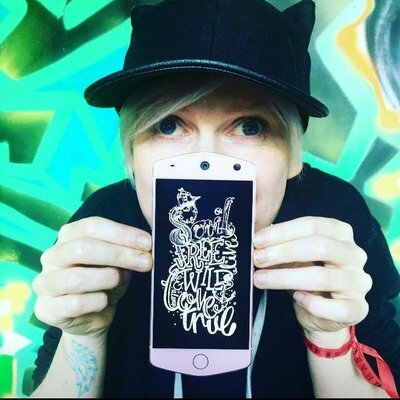 She’s now helping Hyper Island students worldwide to discover new skills in digital management and digital experience design.\n\nTash’s recent projects include MapMyMCR, a map of illustrated buildings and their narratives. Her daily typographic project Mundaneaday is now in its fifth year. It’s been more than 20 years since Tash Willcocks dipped her toe into the creative and design industry. In that time she’s been an album creative for Elbow, designed skateboards with Linder Sterling, and led graphic design courses at Salford University. She’s now helping Hyper Island students worldwide to discover new skills in digital management and digital experience design. Tash’s recent projects include MapMyMCR, a map of illustrated buildings and their narratives. Her daily typographic project Mundaneaday is now in its fifth year.